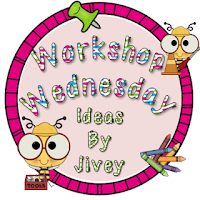 Yeah for Wednesday and Jivey's Workshop Wednesday. 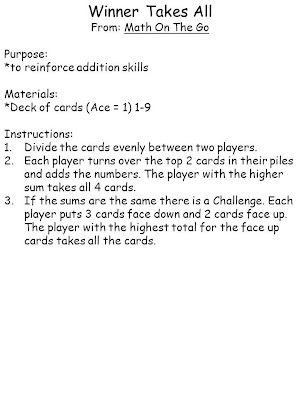 This week's theme is math games you use cards with. I am looking forward to adding more games to my bag of math tricks and can't wait to read all the posts. Be sure to head over to her blog by clicking on her awesome button! 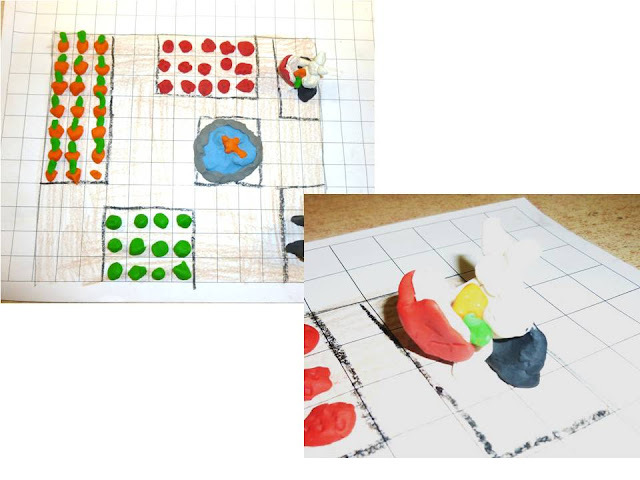 I am going to share 3 quick games that I previously used for "Take Home Math Games" and now use as a centre activity or for early finishers. 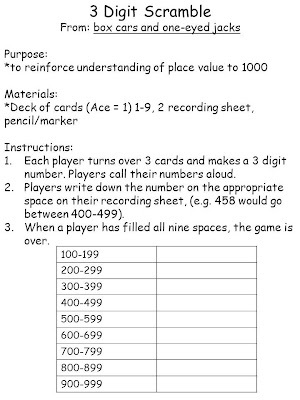 I got all 3 math games from a math workshop I attended that was all about sending home games with students as a way to have parents help reinforce basic skills. I sent the games home in a file folder, with the materials in a ziploc bag stapled on one side and a laminated recording page with a wipe-off marker. Click on each picture to pick up a copy of the instruction page. 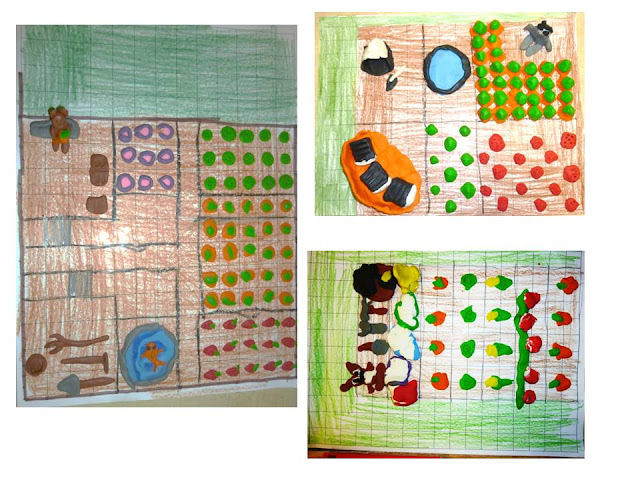 Today we finished up our linear measurement unit with the garden activity in my unit. We extended the activity by re-creating our gardens on a new sheet of grid paper and used modelling clay to make the items in the garden. 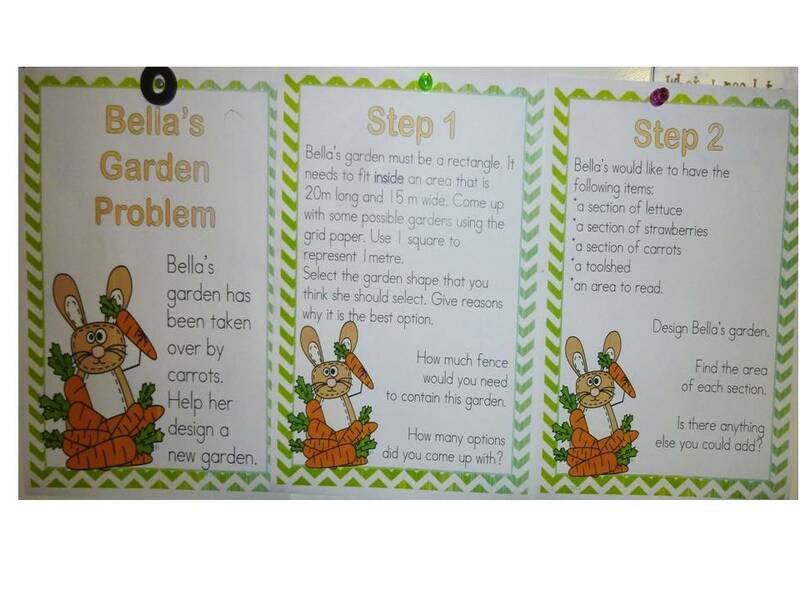 Some students showed incredible attention to detail - like making Bella the Bunny read a book while eating a carrot or adding a fish to their pond! Indoor recess all day - makes for a very long day. Can't wait to read some blog posts and find some new games to teach my class on Friday! See!? Those are some great CARD games!! ;-) Thanks so much for linking up! I love the gardens too! Adorable! Thanks for sharing those games! They are great. 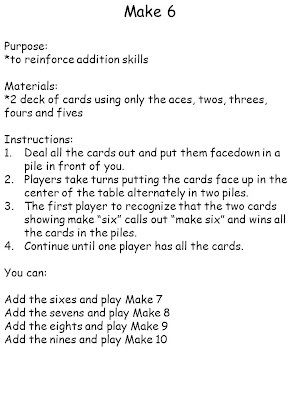 I really like the idea of sending math games home so the kids can teach their parents. 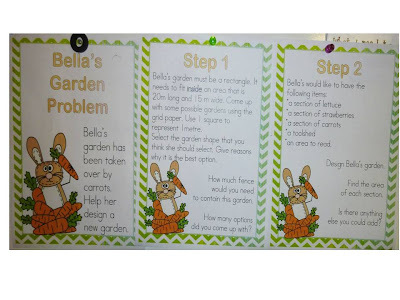 It is a great home-school connection tool. Thanks for sharing! Love the idea of sending the games home! Great idea! And, I can't wait to use your measurement unit next year when I have better allotted my time!! Thank you for sharing those games. I like the idea of sending the games home, but they also probably make great centers. Did sending the games home work well?